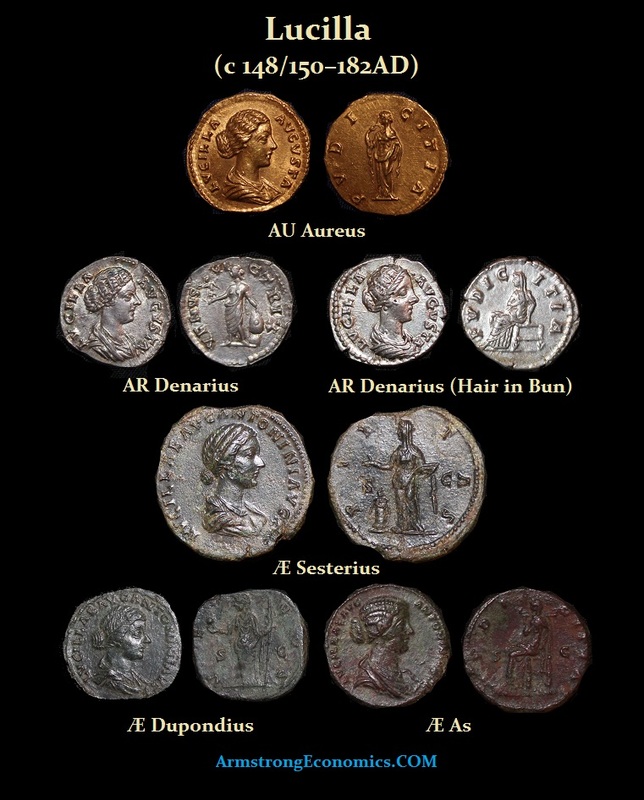 Lucilla was the eldest daughter of Marcus Aurelius and Faustina Junior. Lucilla was married to Lucius Verus in 164 AD. Relations with her brother Commodus were particularly strained. 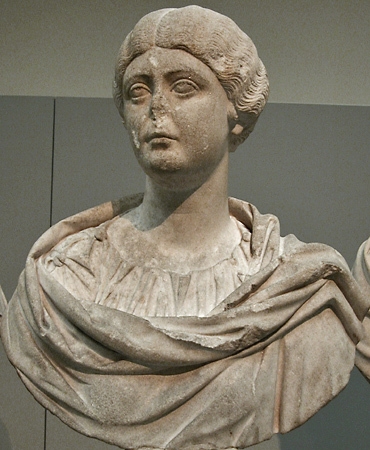 Following the death of her husband, Lucilla was married to Pompeianus, a man of comparatively humble origin. In 182 AD, Lucilla convinced her nephew, Claudius Pompeianus Quintianus to hide in the entrance of the Colosseum and await the arrival of her brother. When Commodus approached, Claudius sprang forth. He hesitate preferring to boast “See! This is what the Senate has sent you!” This gave the Praetorianl Guard just enough time to intervene. The Emperor Commodus was not harmed, but Lucilla had been implicated. She was banished to Capri and soon afterwards put to death along with her husband Quintianus.